Powerball jackpot soars to $1.3 Billion. 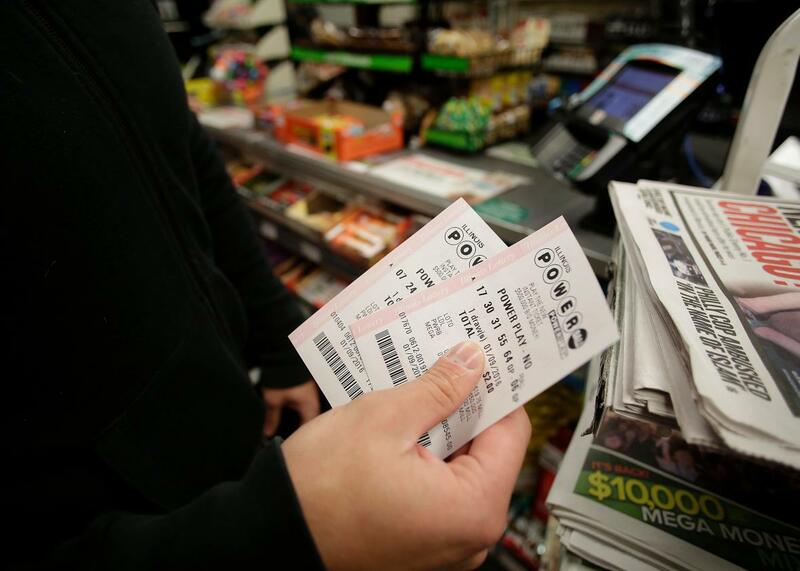 A customer shows off his Powerball tickets at a 7-Eleven store January 9, 2016 in Chicago, Illinois. No ticket matched all six Powerball numbers for Saturday’s record $949.8 million jackpot, meaning the top prize will be an estimated $1.3 billion for Wednesday’s drawing. That number will almost certainly increase. The chance to win may be one in 292 million but it’s clear people want in on the action. “At our peak last night, we were selling more than $1.2 million in Powerball tickets every single minute,” Gary Grief, the Texas Lottery executive director, said. The previous highest jackpot in U.S. history was in 2012, when three tickets split a $656 million prize. But the billion number may be a bit misleading. The jackpot is actually $806 million before taxes and the $1.3 billion number would only materialize if the winner chooses to be paid out over three decades. Almost all Powerball winners have chosen a lump sum payment, points out CNN. Only one of the 102 Powerball winners of the past seven years has chosen to be paid in installments. But experts aren’t so sure that’s the best strategy. A securities attorney tells USA Today that accepting to be paid in installments would help the winner make more responsible choices with the money and avoid splurging. For now though, you should keep any plans for the money on the backburner. A professor of biostatistics tells Reuters that an American is around 25 times more likely to become the next president than to win at Powerball.